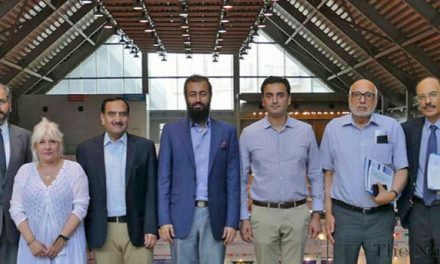 Kornit Digital, a global market leader in digital textile printing innovation, has announced the introduction of a new HD printing technology for its Avalanche platform of direct-to-garment printing systems. 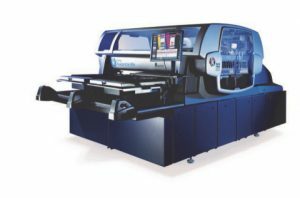 The Avalanche HD6, the successor of the Avalanche Hexa, is equipped with Kornit’s HD print engine and NeoPigmentTM Rapid ink, which leads to significant reductions in ink consumption – and therefore cost per print – in comparison to the company’s existing Avalanche systems. The HD6 will reduce the ink consumption by up to 30 per cent compared to the current “R-Series” version and up to 46 per cent compared to the previous Non R-Series versions of the Avalanche Hexa. In addition, Kornit is launching an HD version of the Avalanche 1000 which will be called Avalanche HDK. The company also announced that existing Kornit customers now have an upgrade path for their Avalanche Hexa and Avalanche 1000 systems. The new systems are the result of Kornit’s experience gained from 15 years of direct-to-garment printing innovation and a very large installed base of systems. The new cost per print levels make the new HD systems an attractive choice for screen printers for print runs between one and 500 copies. The new systems are running with 4l bulk ink containers of Kornit’s NeoPigmentTM Rapid ink. This ink, which has been specifically developed for Kornit’s HD technology, offers an improved gamut for spot and brand colour matching, increased opacity and saturation of the white ink, as well as improved hand feel – an important requirement by screen printers. The print quality is further enhanced by ColorGATE’s Professional RIP solution, adding advanced colour management and screening capabilities, improved white base creation and pre-defined colour libraries for ultimatecolour colour matching. Both the HD print engine and the NeoPigment Rapid ink are used in Kornit’s Vulcan system and have been field proven in a number of installations over the past year. Kornit’s Avalanche platform represents the high productivity segment of Kornit’s industrial direct-to-garment printing product family, providing customers with a multitude of system options for different application requirements. The Kornit Avalanche HD6 includes six colour channels (CMYK, Red, Green) plus white, for a wider gamut and improved spot color matching. Users can easily reproduce the true colours of licensed sports teams and accurately match corporate logos with fiery reds, warm yellows, deep blues and greens, vivid purples and many more. Designed for the mass production of garments, Kornit’s Avalanche HD6 includes a patented architecture of dual bridge and dual pallet, designed to achieve optimal performance in an industrial production environment, and is a very robust platform designed for heavy duty use. The system operates at high speeds and provides excellent print quality. The Avalanche HD6 is available for delivery during the first quarter of 2018 to be followed by the Avalanche HDK during the second quarter. Previous versions of the Avalanche Hexa and Avalanche 1000, with or without ink recirculation technology, are field upgradeable to the new HD versions and that way can benefit from the advantages of the NeoPigmentTM Rapid technology. The new Avalanche HD6 can be seen in live demonstrations at Kornit Digital’s booth at the ISS Long Beach show, taking place January 19-21, as well as the TecStyle Visions show in Stuttgart, Germany, taking place February 15-17. Kornit’s state of the art NeoPigment™ meets the highest environmental regulations, including Oeko-Tex Standard 100 and GOTS V5 pre-approval. Suitable for printing on multiple fabric types, its versatility is unmatched. NeoPigment™ prints have an excellent hand feel, a wide gamut of bright and intense colours, as well as long-term durability and wash-fastness.